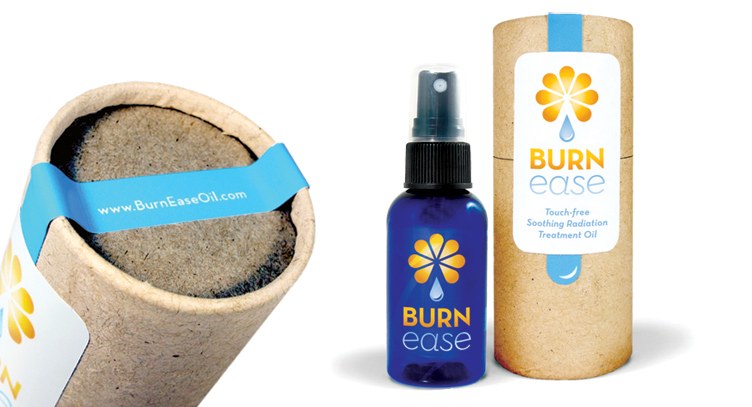 Burn Ease is an organic oil created by a chef for her mother to spray onto skin that had been treated with radiation, without painful rubbing, to sooth the affected area. It worked so well that good word spread quickly and before she knew it, a business was born. The owner was adamant about communicating the Calendula oil as the main ingredient. The kraft tube packaging not only provides a wholesome and handsome package on very pharmaceutical retail shelf, but it is great protection during the shipping of the product. Fashion, form & function = great design.